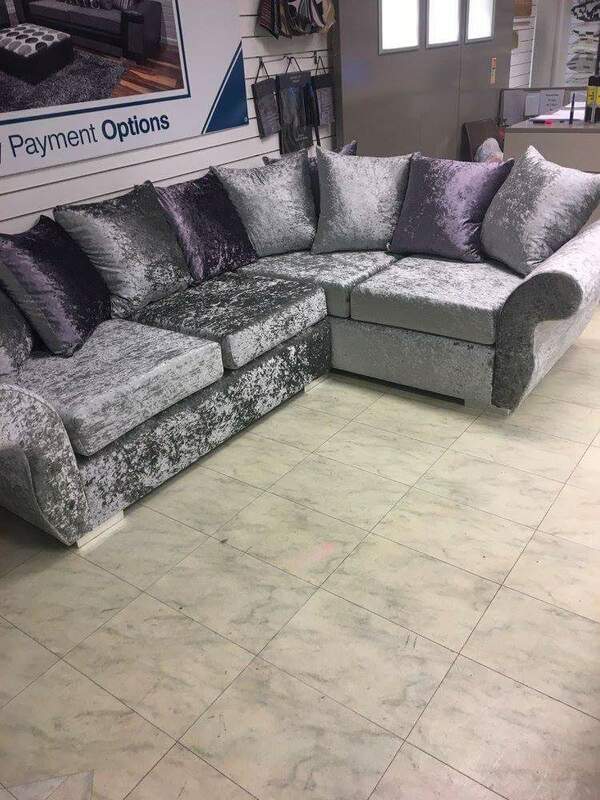 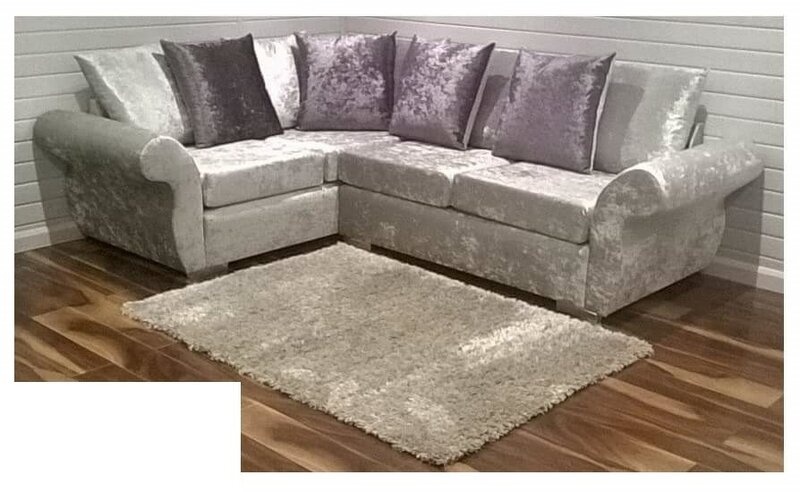 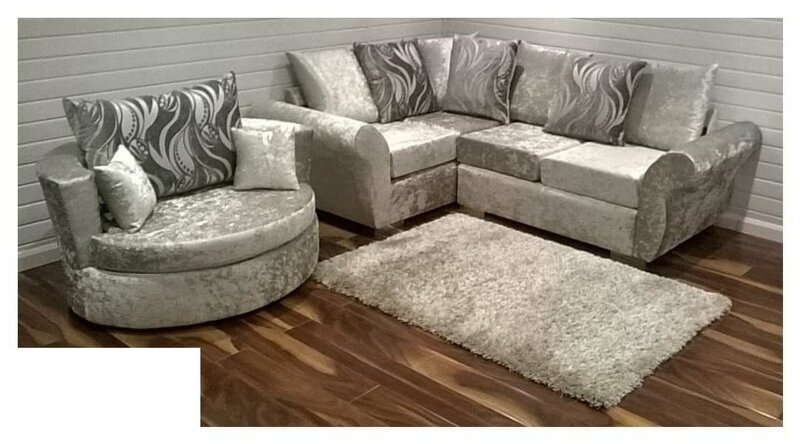 The Sharon Crushed velvet corner sofa will bring elegance to your home instantly. 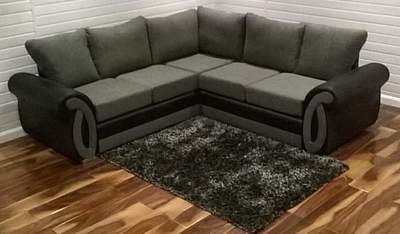 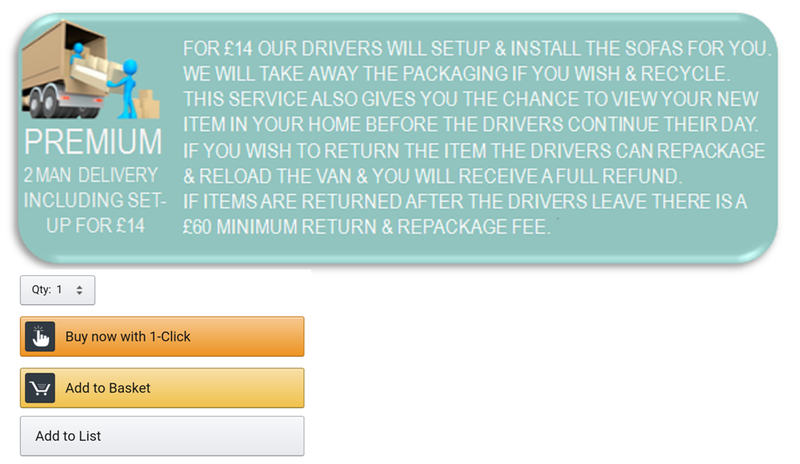 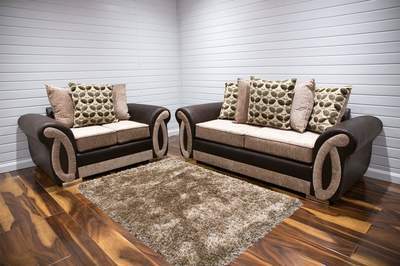 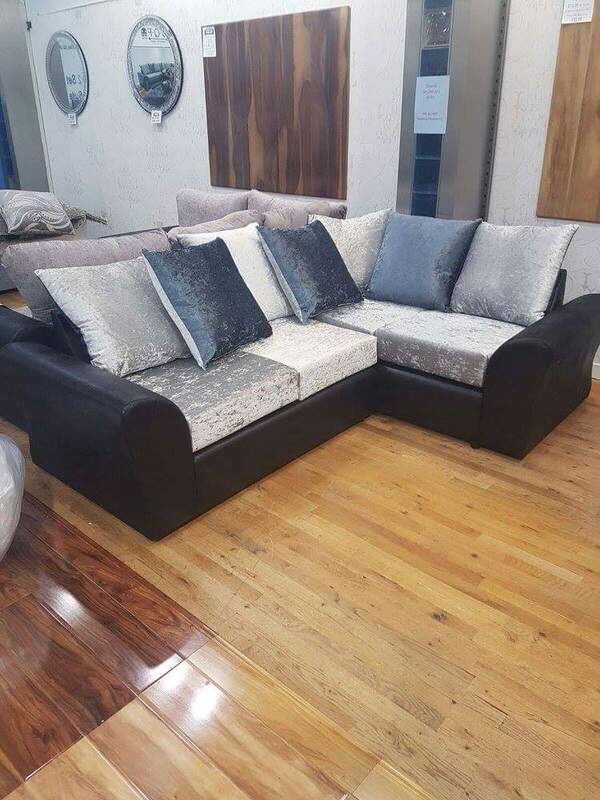 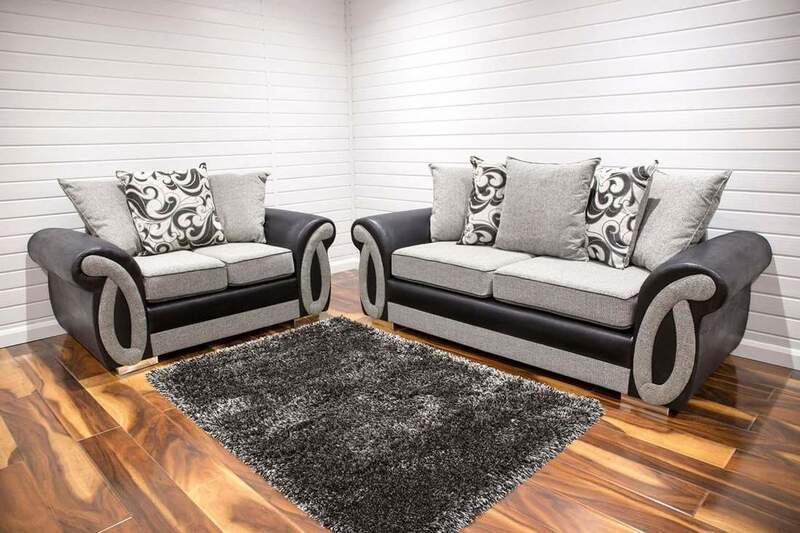 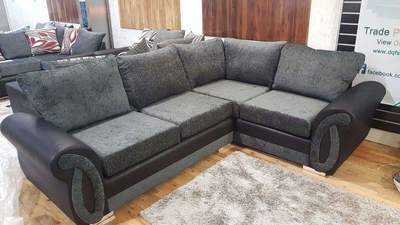 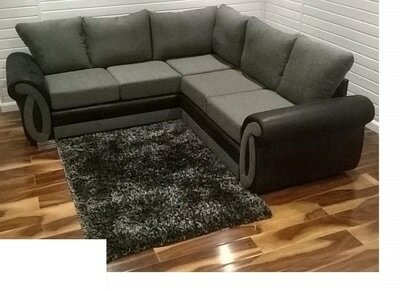 Comes with thick padded seats and chunky chesterfield arm rests. 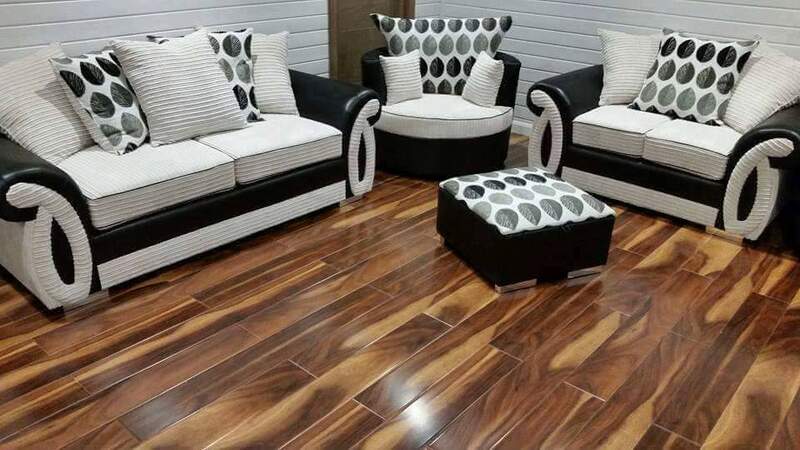 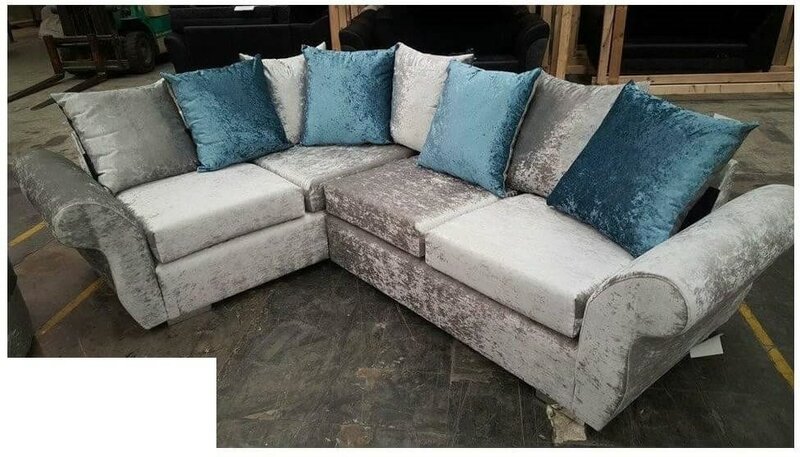 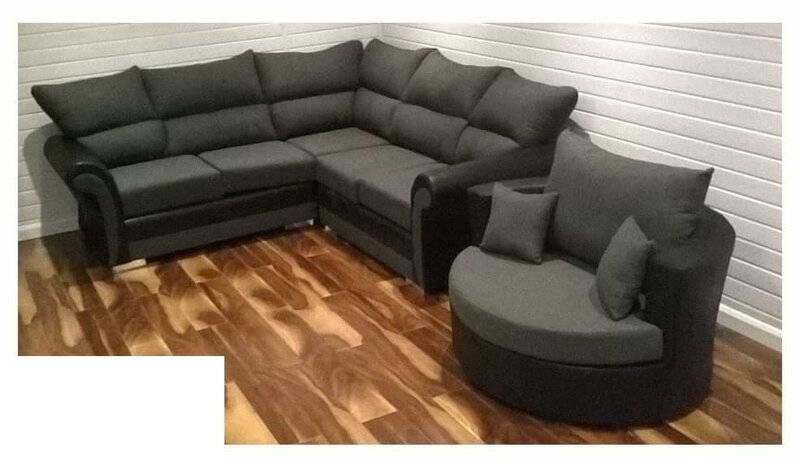 The suite is made in durable but soft permi-foam wrapped with fibre so seats will not sag over time. 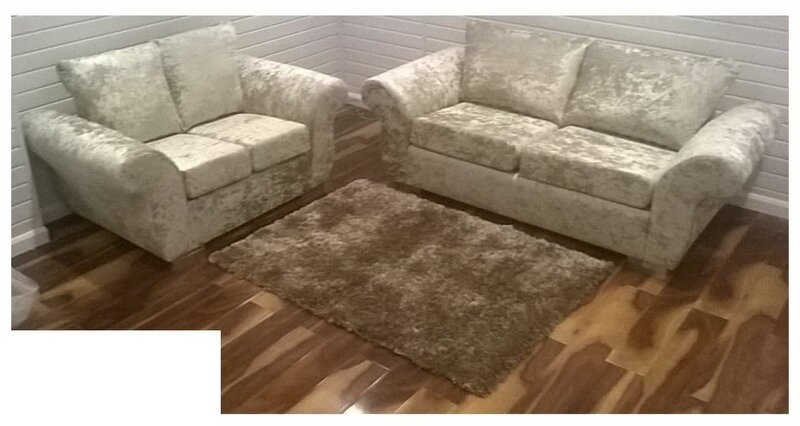 Fully UK Fire Regulation compliant. Available with scatter cushions or full back cushions. 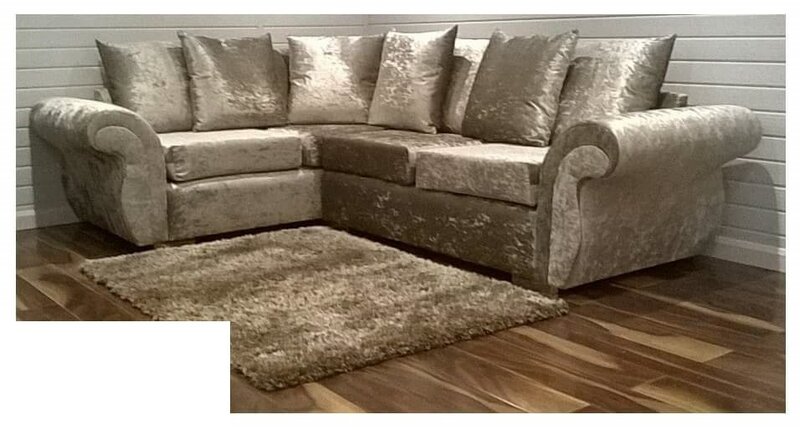 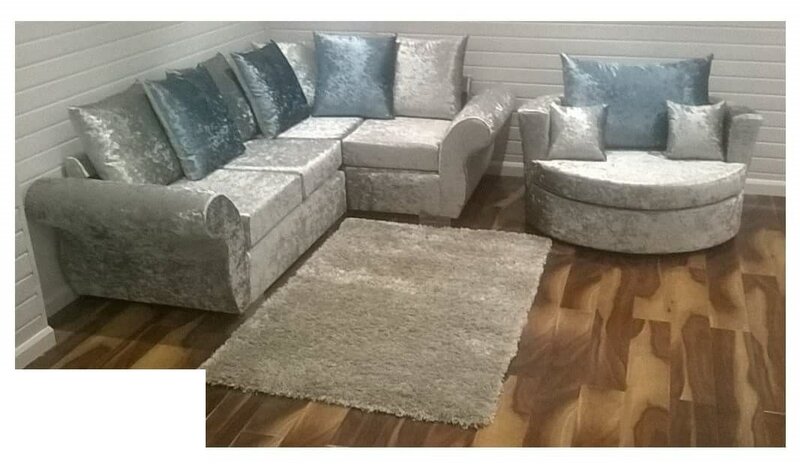 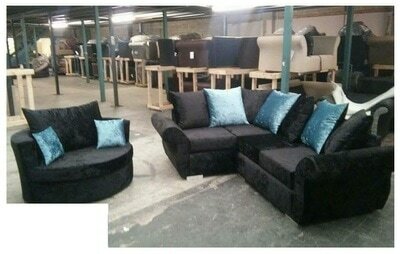 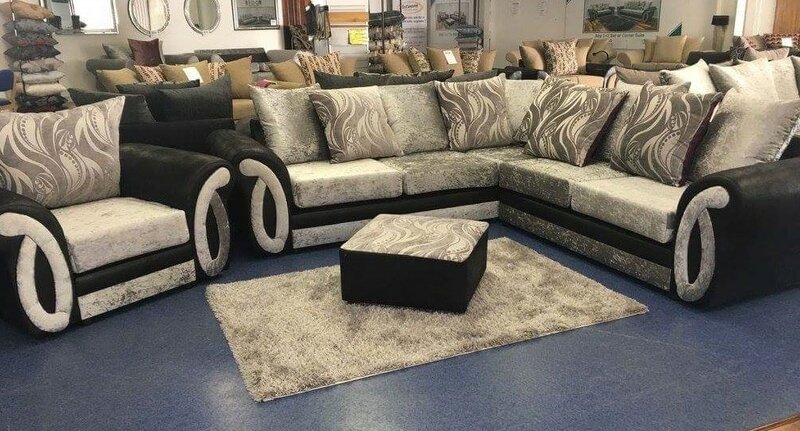 Velvet available in Black, Cream or Silver, Mink crushed velvet & many more, trim available in leather or velvet colours.